Director Ben Wheatley (‘Kill List‘) has gathered a star-studded cast to tell the story of ‘High-Rise‘. Based on the 1975 novel of the same name from writer J.G. Ballard , the same writer responsible for ‘Empire of the Sun‘ and ‘Crash‘ among others. The film stars the always gorgeous, ( and naked!) Tom Hiddleston, Jeremy Irons, Sienna Miller, Luke Evans, Elisabeth Moss and James Purefoy, it comes to big screens April 28. London, 1975. 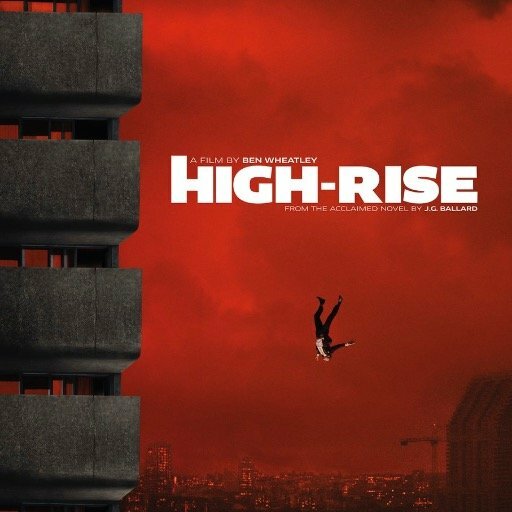 Robert Laing (Hiddleston) is a young doctor seduced by the lifestyle in a high-rise, an isolated community, cut off from the rest of society in their luxury tower block, and its creator, the architect Anthony Royal (Irons). Taking up residence on the twenty-fifth floor, Laing discovers a world of complex loyalties, and also strikes up a relationship with Royal’s devoted aide Charlotte (Miller). After Laing befriends Richard Wilder (Evans), a documentary filmmaker relegated to the second floor who is determined to provoke the class injustices inherent in the high-rise, a dangerous social situation develops and the high-rise eventually fragments into violent tribes. This is a movie that seems to have it’s finger on the pulse of the cerebral and the violent, definitely one for me. Tom Hiddleston Wows As Hank Williams!!! This entry was posted on Tuesday, February 9th, 2016 at 1:54 pm	and is filed under Books, Film, News. You can follow any responses to this entry through the RSS 2.0 feed. You can skip to the end and leave a response. Pinging is currently not allowed. « First Glimpse of ‘Voltron’ from Netflix!